ST. LOUIS (AP) — Missouri voters on Tuesday approved a measure that would give them access to medical marijuana, joining a long list of states that allow the once-forbidden drug to be used for medicinal purposes. The medical marijuana ballot proposals were among several issues confronting Missouri voters, who also approved three other measures: A gradual increase of the state's minimum wage from the current $7.85 an hour to $12 an hour; creation of a new position of nonpartisan demographer to draw state House and Senate boundaries; and a reduction in the amount of experience necessary to run bingo games. New Approach Missouri spokesman Jack Cardetti said that in passing Amendment 2, voters "showed that increasing health care treatment options for patients and supporting veterans are bipartisan Missouri values." Stacy Carey, 57, a jewelry maker from Chesterfield, voted for Amendment 2 because, she said, she's personally seen the value of medicinal marijuana. "My dad had cancer and smoking marijuana helped him," Carey said. 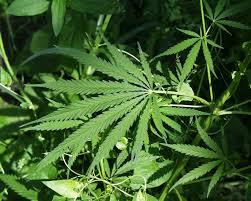 "It kept him alive because he was nauseous and couldn't eat until he had the marijuana. That's what changed my mind." The competing constitutional change proposal that failed, Amendment 3, was financed almost exclusively by Brad Bradshaw, a Springfield personal injury attorney and medical doctor. Its funding mechanism called for a 15 percent tax on the retail sale of marijuana as well as a wholesale tax on the sale of marijuana flowers and leaves. Those funds would have been used to create a new state institute to research "presently incurable diseases." Amendment 1, the so-called "Clean Missouri" ballot measure, requires the demographer to draw legislative boundaries based on the 2020 Census using criteria intended to achieve partisan fairness. Maps will be submitted for approval to bipartisan commissions, which will have less leeway than in the past to draft their own plans. The defeat wasn't a complete shock since Missouri voters have a long history of rejecting tax increases. Missouri's gas tax has not changed since 1996. In 2014, Missouri voters rejected a proposed sales tax for roads. They also defeated a transportation tax plan in 2002.